FDA will expand its digital health pre-certification pilot program by the end of the year, taking on more companies beyond the 10 current participants. FDA says it regrets labeling the project as a “pilot” since it is more of a co-development project that will allow app vendors who earn FDA’s pre-certification to fast-track getting their products to market. From Headcounter: “Re: your ‘People’ section. Today, 100 percent of those listed are men and your overall ration is about nine to one male. I can’t give you a pass any longer. Many women are powerful in this field, but for some reason don’t get the same recognition. Maybe your criteria are male-centric and you need to adjust them?” As the messenger you’ve just shot, allow me to explain my criteria for reporting job changes: (a) full-time VP positions and above, and (b) either the hiring company is one I’ve heard of or the new hire has enough industry history so that readers will likely know him or her (few readers would care about a health IT company hiring an HR VP from a local bank). My sources of information are press releases, someone notifying me directly, or LinkedIn if the person is connected to me. Any gender imbalance you see in the People section reflects the industry, not my coverage of it. That solution lives far above my pay grade. My favorite response so far to “What I Wish I’d Known Before … Retiring or Career Downsizing” notes the impact of “an insufferable department director and an incompetent CIO.” What say you on the topic of getting off the career treadmill? 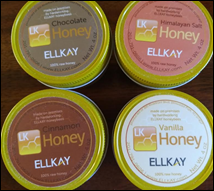 I’m having a post-HIMSS swag fest in wearing a great Cantata Health sweatshirt and sampling Ellkay flavored honey (the chocolate is way dangerous, but I wouldn’t kick the cinnamon, vanilla, or Himalayan salt versions out of the kitchen either). 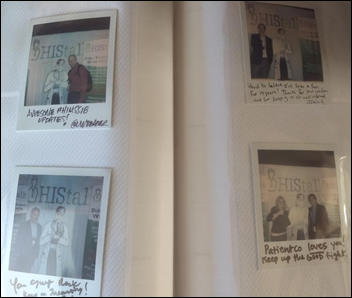 In another post-HIMSS moment, I now know what Brianne and Lorre were doing with the Polaroid cameras in our booth – inviting visitors to have their photo taken with the Smokin’ Doc and to write their messages to me on the result. Thanks to the 100 or so folks who participated. Lorre sent me the album in which she mounted the photos in and I’m pretty sure I’ll page through it often since this hobby (sitting alone trying to fill an empty laptop screen with something interesting while remaining anonymous) makes it easy to feel disconnected and to forget that actual people are on the other end. Now I can see them. Here’s a fun fact told to me by a guy who has used repeated “trial subscriptions” to SiriusXM to get years of service for free (which I’m not advocating). Email servers usually ignore periods to the left of the @ sign, so you can sign up with “thisisme@myserver.com” and then sign up again later with “thisis.me@myserver.com” in looking like a new subscriber while still receiving the confirmation emails. 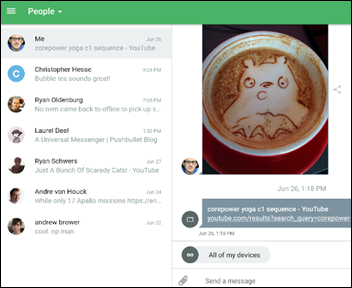 A fun item I found: Pushbullet, an app and Chrome extension (versions are also available for Firefox and Windows) that automatically mirror your phone’s notifications and SMS messages to your computer and also let you exchange text messages, links, and files right from your computer’s browser to a phone. I didn’t know I needed it as a minimal phone user, but since I’m on Android, I kind of do. Gay dating app Grindr will send its male users reminders to get an HIV test every 3-6 months, give them directions to the nearest testing site and allow non-profit testing centers to advertise their services at no charge. Apple announces a new 9.7” IPad that will start at $329 for the 32 GB model. It lacks some of the advanced features of the Pro, but still has the Retina display, the A10 Fusion chip, and Apple Pencil support. It appears to be targeted to schools since it was announced at an education conference and schools get modest discounts. 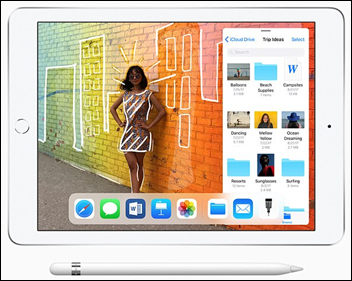 The IPad Mini 4 — like the clearly obsolete Macbook Air — makes even less sense than it did before since its display is just 7.9 inches and it costs $70 more, although with 128 GB of memory. Primary care technology vendor Canvas Medical announces GA of its EHR, claiming that its autocomplete-powered documentation is three times faster than the top three EHRs, requires 80 percent fewer clicks, and eliminates the need for separate population health management software. Pricing starts at $599 per month. CEO Andrew Hines used to work for Practice Fusion. The company appears to have about a dozen employees, which isn’t many when you consider ongoing support, further development, and keeping all those bosses of non-concierge doctors (insurers and the government) happy. Cascade Family Practice (WA) was quoted in the announcement, but I notice that its patient portal is still Athenahealth. A fascinating article describes how scammers make a fortune using Facebook (and so does Facebook) by using Facebook’s targeting software to push affiliate ads based on location and language, often buying phony Facebook accounts to keep the ads going. The king scammer — a 31-year-old whose dubious career accomplishments have made him one of Poland’s richest people at a net worth of $180 million (and a billboard purchaser, above) — says Facebook sends a mixed message by claiming to shut down suspicious accounts while it also sends company reps to scammer conferences to encourage them to buy more ads. He admits that affiliates – companies that pay him a percentage of sales when his ad for their product is clicked — are stealing from the poorest people, but says the real problem is a capitalistic society that is based on convincing people to buy things they don’t need. His next idea is creating a cryptocurrency that will turn his business into a billion-dollar company. https://www.google.com/maps/timeline?pb (every place you’ve been with your phone turned on). https://myactivity.google.com/myactivity (your search history from every device combined). https://adssettings.google.com/authenticated (your profile as provided to advertisers). https://www.youtube.com/feed/history/search_history (every YouTube search you’ve ever performed). https://takeout.google.com/settings/takeout (where you can download your entire Google history). 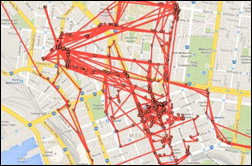 Dylan’s 5.5 GB file contained bookmarks, emails (including deleted ones), contacts, Google Drive files (including deleted ones), photos taken, calendar, businesses from which goods were purchased and the items bought, websites create, phones owned, pages shared, and how many steps he took each day. Facebook also offers a download that includes every message sent, files sent or received, phone contacts, audio messages sent or received, a list of topics it thinks you’re interested in based on your Facebook interaction. Windows 10 enables by default tracking location, installed apps, when the apps were used, access to the webcam and microphone, emails, calendar, call history, files downloaded, photos and videos, and search history. The Dallas paper profiles the regional security monitoring center of Blue Cross Blue Shield of IL, MT, NM, OK, and TX. The 200-analyst, 24×7 center looks for foreign access and unusual member activity. 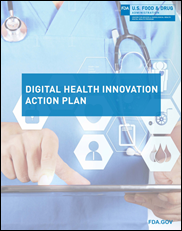 It’s run by SVP/CISO Kevin Charest, PhD, who held a similar job with UnitedHealth Group and was CISO of HHS. He was also previously a VP of Greenway Medical and a US Army captain. Finger Lakes Health (NY) pays an unspecified sum to to bring its systems back online after a week of ransomware-caused downtime. The CFO of Medical Center Health System (TX) blames its credit downgrade to a worsening local economy and the hospital’s Cerner implementation, which he says “has really hurt us from an accounts receivable standpoint.” The previous CFO attributed the hospital’s 2017 bond downgrade to the $55 million it spent on Cerner. A poll finds that high costs caused 40 percent of Americans to skip doctor visits, prescribed tests, or treatments in the past year. Around 30 percent said they had to choose whether to spend their money on medical bills or on necessities such as food, heating, or housing, while respondents who faced with healthcare expenses used up their savings (36 percent), borrowed money (32 percent) or saved less (41 percent). Half said the were billed for services they thought their insurance covered and one-fourth of respondents had a medical bill turned over to a collections agency. 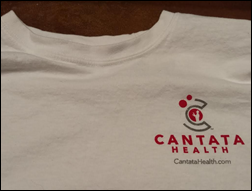 NC-based mental and behavioral services managed care provider Cardinal Innovations Healthcare sues former CEO Richard Topping for the $1.68 million he convinced the organization’s board to pay him in the severance agreement he drew up himself. Cardinal’s investigator also claims that former CIO Pete Murphy committed wrongdoing by helping Topping download 1.5 GB of confidential company information a few days before he was fired. The two were apparently planning to launch a privately backed competitor to Cardinal. “I can’t wait until we’re rich,” Murphy said in an email to Topping. The other fired executives who received severance were Murphy ($740,000), the COO ($690,000), and the chief medical officer ($684,000). Topping and Murphy have since started the DC-based Shao, described on LinkedIn as “a technology partnership between health plans and telecom carriers to provide plan members with digital connectivity and the tools to maximize that access for better health and wellness.” The most interesting aspect of this is that fired CEO Topping has impeccable credentials – he earned a JD degree, an MPH from Harvard, was a judge advocate in the US Army, served as legal counsel for Brigham and Women’s Center for Bioethics, and was a US Department of Justice trial attorney. 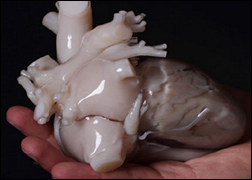 Belgium-based Materalise earns FDA approval for its 3D printing software that creates anatomical models for planning surgeries. This offshore market research company’s $4,450 report predicts “incredible” (7.3 percent – is that incredible?) growth for the LIS market, although one might question its qualifications even beyond the fractured English — it lists products from McKesson (sold to Allscripts last year) and Eclipsys (sold to Allscripts in 2010 – Eclipsys had acquired SysWare in 2006 but its LIS seems to be defunct). You get the feeling that the report won’t actually be written until someone orders a copy. A small interview study of patient portal users finds that two-thirds of them viewed test results that did not contain an explanation from their doctor, triggering frantic phone calls (sometimes after office hours) and online searches as the patients tried to get more information. The authors conclude that just posting test results on a patient portal without context isn’t adequate. A Kaiser Heath News article describes an internist who checked her husband’s patient portal with his permission and found from it that he had widespread metastatic cancer, after which she kept rebooting her computer and rechecking it in disbelief (he’s OK now). Sometimes I run across bizarre items that earn the Weird News Andy seal of approval even though WNA didn’t send them to me. Here’s one: surgeons in India determine that a woman’s eye and nose pain are being caused by the wriggling of a 2.5 inch worm lodged right behind her eye, which they remove via nasal surgery. Larvae of the Lua Lua worm (also known as the African eye worm) are spread by biting flies and live under human skin. You can thank me later for not including the BJM Case Reports photos. Solutionreach integrates its patient relationship management system with Epic and adds its app to Epic’s App Orchard. CSI Healthcare IT employees volunteer with Habitat for Humanity as part of its Gives Back program. The Sequoia Project re-elects Surescripts Chief Administrative, Legal, and Privacy Officer Paul Uhrig to its board. Fortified Health Security partners with Beach Health System to strengthen its cybersecurity program. HealthcareNow Radio interviews Aprima COO Neil Simon. Chiropractic software vendor EZBIS will integrate Ability Network’s all-payer RCM application into its practice management system. CenTrak empowers IoT solutions in the Australian healthcare sector. Heather Espino (Centura Health) joins Culbert Healthcare Solutions as Epic manager. Dignity Health features Docent Health on the cover of its Hello Health magazine. Meditech publishes a case study of patient engagement at Ontario Shores Centre for Mental Health Sciences, which uses Meditech’s patient portal to improve recovery, improve patient self-assessment scores, and reduce appointment no-shows. Sorry “Headcounter”, I have to agree with Tim on this one – especially given his recent interview with Nancy Ham (WebPT CEO) and the earlier ones he did with her, Patrice Wolfe (Medicity) and the webinar on Leadership Success for Women in HIT. There’s a real problem here, but you totally shot the messenger here! The comment about the people section feeds into a theory I’ve been mulling, which is that men are generally more publicly active on LinkedIn than women are. I’ve noticed that it seems that the majority of people who post and “like” things that show up in my feed tend to be male, and the vast majority who view my profile non-anonymously are male. (I am female.) Some anecdata: In the last 90 days, 108 men and 9 women viewed my profile non-anonymously. On my last post, of 74 “likes”, 22 were from women. Offline, my network and interactions are much more gender balanced. My unscientific explanation for this is that women tend to use LinkedIn differently – more privacy settings, fewer public announcements, posts, or interactions. 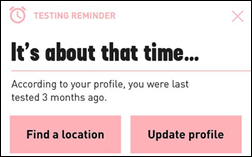 I wouldn’t be surprised if this extends to other aspects of online identity, like being less likely to email Mr. Histalk to notify him of a promotion. I’m also a fan of Pushbullet. It might be fun to ask readers what other apps they find helpful. * Llama, which you can set to change your phone’s profile based on your location, or what time it is, or what you’re connected to. For example, when I’m at work during work hours my phone silences itself. When my phone and car bluetooth are connected, the phone resets to normal ringtones and volume. * TripIt is very helpful for automatically compiling your travel arrangements into a single place so no more sorting through e-mails to find your confirmation code. * Arrow launcher (now Microsoft launcher) – organizes your home page with your most recent apps and puts all the others in alphabetical order. It also lets you know when an app has outstanding notifications like unread messages. Can someone explain the value of LinkedIn? It’s handy when looking someone up at times but the amount of spam and vendors asking to make a connection is overwhelming. I deleted my profile a few years back but then again I don’t do FB or any of the other social media sites so I am probably not a good example.